Magic Carpet Cleaning offers you all the cleaning services you might ever need for your home carpet or rugs in one place. We have a team of local carpet cleaners in Park Royal who can come at your address in no time. No matter the type, size or shape of your carpet our expert technicians have both the experience and equipment to deliver fantastic clean results for your home or office. 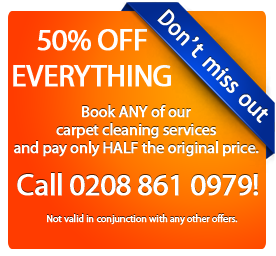 Just give us a call on 020 8861 0979 to book your service with us and get your absolutely free price quote. We are confident enough to provide 100% clean guarantee for every job our cleaners take on. The work of cleaning is hectic and requires patience as some stains are hard to remove. With many respiratory diseases on the rise the right step to clean carpets in Park Royal (NW10) is to welcome the carpet technicians from Magic Carpet Cleaning into homes and offices. The prices are different according to the number of houses and to avail many lucrative offers to clean carpets in studios and offices where there is lot of human activity all through-out the day is a sensible step. Every carpet stains requires proper understanding of nature of stain and then the chemical and the cleansing methods has to be decided. The hustle bustle of Park Royal (NW10) offices and frequent changing of destinations has seen a rise on cleaning of homes before moving into new houses and a developed drying system used by Magic Carpet Cleaning has ensured completion of cleaning tasks within the deadlines. You can contact Magic Carpet Cleaning on 020 8861 0979 to book an appointment with us and claim your personal price quote which is absolutely free and comes with no obligations. Our back office staff works 24/7 for your convenience. They can answer all your questions regarding our services, methods and pricing.